Our guest speaker this month, Stewart Moore, described autumn as "a season of mellow clusters, misty nebulae and fruitful galaxies". He should know quite a few hidden wonders of the night sky, being the Director of the British Astronomical Association's Deep Sky Section. You may think that 'deep sky' means that you need a huge professional telescope even to glimpse these gems but it isn't necessarily so. In dark skies away from the glare of city lights you should be able to make out the largest galaxy in our Local Group of galaxies - the Andromeda Galaxy - as it is bright enough to see with the naked eye. Even if you live in the city, you need not despair, as an ordinary pair of binoculars can concentrate the light from a deep sky object enough so that you can pick it out. You can then see if you agree with the Persian astronomer Abd Al-Rahman Al Sufi who described it as a "small cloud" back in the 10th Century. The Andromeda Galaxy is also known as M31, the 'M' being an abbreviation for Messier object, after the astronomer Charles Messier. There are 110 Messier objects in all and these are a subset of the total catalogue of deep sky objects. Charles Messier was a comet hunter who made a note of all the objects in the sky that looked a bit like comets (i.e. fuzzy blobs) but were not, so he knew to ignore them. Although Messier found these objects an irritation, amateur astronomers sometimes test their observing skills by attempting what is known as a "Messier marathon". This consists of observing all the Messier objects in one night and is only possible at latitudes close to 25 degrees North during late March to early April. It usually takes all night from dusk to dawn and needs to be at a time when the Moon is absent from the sky. Apart from galaxies, other types of deep sky object to search out are star clusters and nebulae. 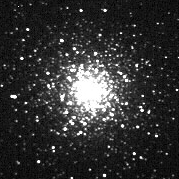 Open clusters are made up of stars that have only a loose hold on each other, and so appear slightly spread out when viewed through binoculars. The most famous example being the Pleiades (also known as M45 or the Seven Sisters) found in the constellation of Taurus. In favourable skies, fourteen of its hot blue stars are visible to the naked eye and six of the stars are represented on the logo of the Subaru car company. In contrast, globular clusters are tightly packed bundles of old stars that form a halo around the Milky Way. Their distribution shows that our Solar System is not at the centre of the Milky Way galaxy. Then there are the planetary nebulae, some of which have very descriptive names. The very first and second ones to be discovered were called respectively the Dumbell Nebula (M27) and the Ring Nebula (M57) due to their shape. When we look at these we are peering into the future, seeing what may happen when our own Sun starts to grow old and cast off its outer layers - in another 5 billion years or more!